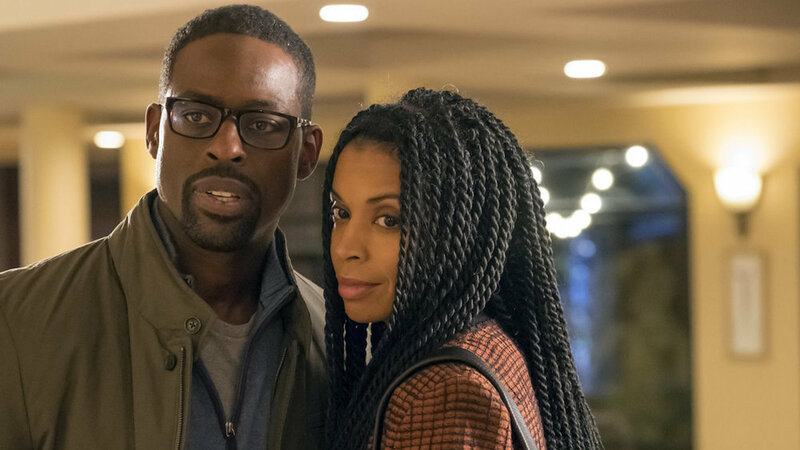 Updated Feb. 26, 2018, 9:15 a.m. PT: Rejoice, This Is Us fans! Beth is safe! We have real, actual confirmation straight from the source that the rumor saying Beth will die of cancer or some other similarly terrible fate is false! Aptaker also revealed that we just might be able to put away the tissues for a hot second while we watch some upcoming episodes. “It was important to us to come back with something a bit lighter to show that we also love showing our group of characters really enjoying each other,” he explained. And the last nugget of quality information he revealed? Beth isn’t dying now, and that’s unlikely to change later down the line. Original story, published Feb. 22, 2018: When did showrunner Dan Fogelman become the new Shonda Rhimes? Viewers are still reeling from finally finding out how This Is Us‘ favorite dad, Jack Pearson (played by Milo Ventimiglia) died, and now there are clues that another devastating character death could be on the horizon. Brace yourselves: you’re not going to like this one. Granted, this is all just speculation, but a writer over at Refinery29 has pointed out a handful of clues that seem to tell us Beth may be the next to go. Fogelman, you wouldn’t dare; there are not enough tissues in the world to get viewers through that. The first clue comes from the Super Bowl episode in which there’s a flash-forward scene that shows an older Randall visiting his eldest daughter, Tess, at her office, where she works as a social worker. But where’s Beth? Was she just busy that day? It’s entirely possible except for another major clue: Randall’s hands are never shown, so you can’t see whether he’s wearing his wedding ring. Sterling K. Brown, who plays Randall, seemed to back this theory up when he posted a photo of future Randall to Instagram, again, with his hands out of sight. There are already rumors there’s a Randall-Beth divorce coming, and that could explain the unseen wedding ring. But there’s one more clue to back up the theory that Beth dies: Refinery29 makes note of TVLine‘s Ask Ausiello column, which is purposefully vague in a recent blind item, stating that “an extremely popular broadcast drama that’s been on the air for less than three seasons” is planning a storyline in which a “pivotal character” is diagnosed with terminal cancer. That is definitely This Is Us. What else could it even be? And since Beth’s father already died from cancer in the first season, it’s not a huge leap to guess that she might have the same fate. Fogelman, this is unacceptable. There’s still time to fix this and give everyone a happy ending, so please do that, thanks.